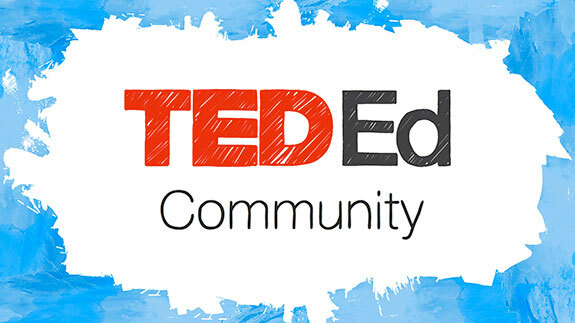 The TED-Ed Community is a great place to meet other people talking about education as it relates to TED-Ed and the world at large. From fun and informative brainstorms about social media in the classroom to thought-provoking conversations about the future of traditional classrooms, we would love your contributions! Don’t know where to start? Here are six ongoing community topics that are sure to pique your interest. Introduce yourself to the TED-Ed Community. Hello! We want to know who you are. Are you a teacher, a student, a lifelong learner, all of the above — none of the above? Tell us more so that we can suggest topics that will interest you. We may also reach out to you when there’s a topic that needs a person with your expertise. On this topic, you can also get to know the other people in the community. It’s a great place to get started! Have you ever considered using texting or social media as a part of your classroom? Digital citizenship is a growing topic in the world of education. How does it fit into your classroom? Do you use technology? Beyond that, do you use texting or social media? Teachers are already sharing their successes and challenges, and TED-Ed would love to hear what you have to say on the subject. What is 21st Century Education going to look like? This topic was posted over a year ago, but it’s still so relevant. It asks some tough questions: “Does education need to be overhauled completely to fit the 21st century? Or are there ways of bending and tweaking it? Can we as educators and thinkers keep up with the change…or do we need to anticipate it and create a system so far out that it actually becomes the change?” Chime in if you have any interesting thoughts. Similarly, what about schools a few years from now? Are things changing so rapidly that they’ll make the classroom of the next decade vastly different than the classroom of today? What will be obsolete in schools by 2020? What are some success stories about TED-Ed Clubs? Are you a TED-Ed Club alumni? Perhaps you’re currently facilitating a TED-Ed Club in your school. Whether you’re a facilitator or a club member, we’d love to hear your stories. Flip the process, have animators suggest ideas. In the typical TED-Ed Lesson production process, an educator chooses a topic and writes a lesson, which an animator later brings to life. Here, we turned the tables, allowing animators to suggest lesson topics. This post was also created about a year ago, but it sparked several ideas for animated lessons. The lesson on yawning was viewed by over a million people in the first three days. Are you an animator? Do you have an idea? Share it with us! Do you think the Voyager 1 space probe can last up to 5 billions years? This post is so fun because an inquisitive student asked a really difficult question, and a real life space expert — an astrophysicist, to be exact — replied with an answer. Maybe you have a question you’re dying to ask. Throw it out to the TED-Ed Community by starting your own topic. You never know who might respond. How do you use TED-Ed to teach science? One educator’s tips.